Leading Taiwanese semiconductor foundry TSMC recently received huge orders from Swedish company Fingerprint Cards (FPC), a major client of SMIC. TSMC is currently at the stage of capacity verification and is projected to mass produce in the first quarter of 2017 once verified. Meanwhile, the company’s 8-inch fab will reach full capacity in 2017, reported Economic Daily News. FPC is the largest fingerprint sensor supplier of Chinese mobile manufacturers, including Huawei, Coolpad, Meizu and ZTE. The company accounts for more than 70% of the market share. Over the last two years, SMIC supplied FPC’s fingerprint sensor products. Fingerprint sensors were considered highlighted product of SMIC while FPC remained to be one of largest client of the company. As fingerprint recognition becomes a standard feature in Chinese smartphone market, FPC’s revenue resumed from decline in 2015 due to booming demand. Therefore, the company went further to boost the yield rate of fingerprint sensor chips. SMIC produced more than 300 units of chips for fingerprint sensor on an 8-inch wafer while other semiconductor foundries produce 650 units out of the same size of wafer. The striking differences between SMIC and other foundries urge FPC to seek a secondary supplier while SMIC suffered from unstable yield rate. The fingerprint sensor giant will start placing order to TSMC. TSMC is currently at the stage of capacity verification and is projected to mass produce in the first quarter of 2017 once verified. 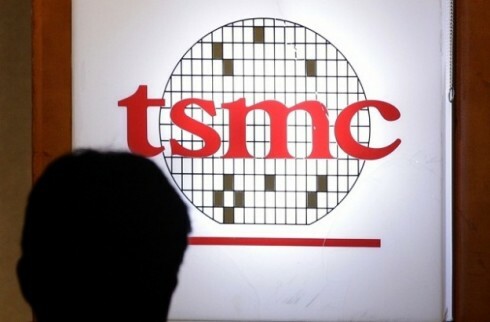 FPC is to place orders for its high-end products with TSMC, and gradually shift other orders to the Taiwan-based foundry. Meanwhile, FPC’s huge demand is expected to lead to full capacity in TSMC’s 8-inch fab. Huge order from FPC is expected to impact on other orders and lead to transfer to leading international foundries while these foundries might benefit from the added orders, said Japanese investors. ← Will Foxconn and ARM Build a Chip-Design Center in Shenzhen?